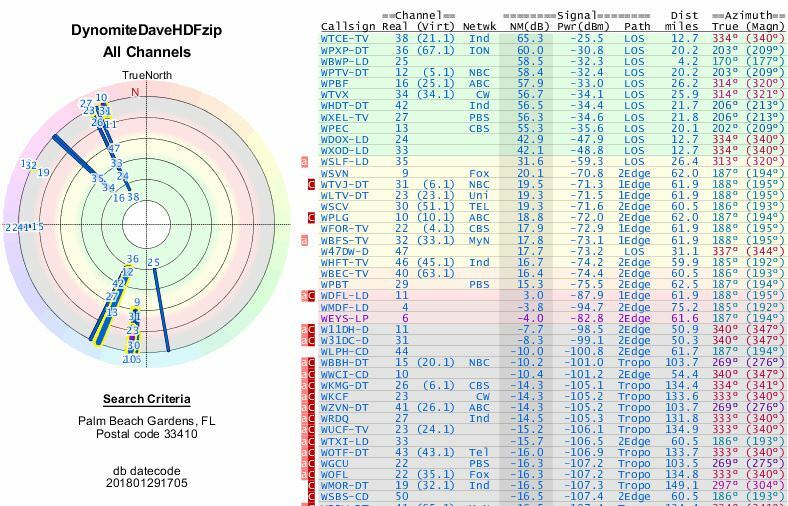 High Def Forum - Your High Definition Community & High Definition Resource - Long time listener, first time.....Hi-V? Long time listener, first time.....Hi-V? I thought I did my research fairly well (OCD), and finally broke down and bought an antenna from Amazon (ANTOP AT-400BV Flat-panel Smartpass Amplified Outdoor/Indoor HDTV Antenna) and mounted it on the west side of my house. (All primary stations are either NNW or SSW). Paid $142 for it. Reason I bought this particular one is because I live in an old CBS house and have a metal roof; neither of which are conducive for good reception on an indoor antenna. 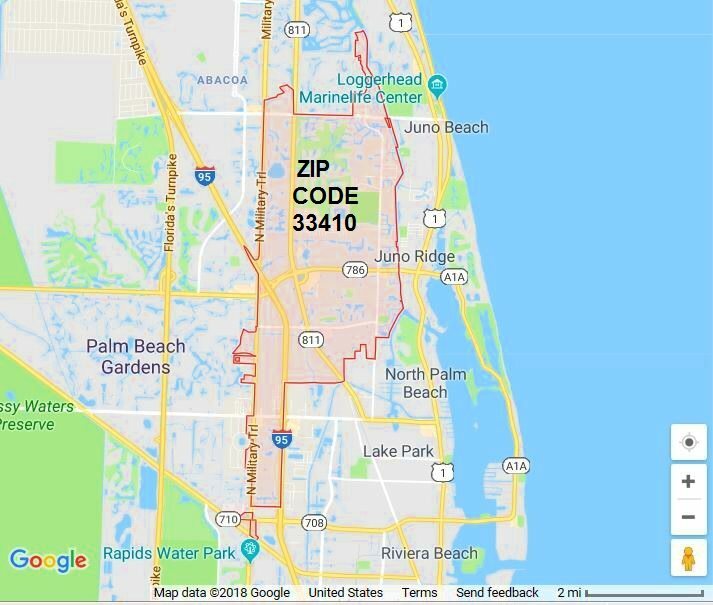 My ZIP is 33410 (Palm Beach Gardens, FL) if anyone cares to see what my local channels should be. I checked on both the DTV reception (FCC.GOV) site as well as the TV Fool site. I should be getting pretty dang good reception from all the local stations, and actually picked up 43 channels when I did the tuner search. C). Do I need to get a separate antenna just for the Hi_V stations? I'd prefer to have as few antennas sticking up as possible, but will do what ever is needed. TIA, and I perfectly understand if I need to be hazed considering I'm a noob to all this. Not knowing how much overhang you haveon the gable, a guess might be that the roof is blocking signal from the 2 VHF-Hi stations because they are only 10 degrees west of due south. Can you mount the antenna a little lower on the house to clear the gable or maybe on then end of the gable itself? Here is a suggestion. Get a telescoping pole to mount your antenna on so you can move it around with the antenna mounted at least 3 feet above the roof. Try several different locations without attaching the antenna to the house. May require a friend to hold the pole while you check the reception. I had a friend who use one of those basketball mounts to attach a pole to for testing. Once the optimum location and height is found, then you can decide how best to mount it. Even if you don't end up using this antenna, the pole can be used for whatever antenna you end up with. With your roof construction and the eves situation, your best bet may be to run a pole from ground level attaching it in the ground and the edge of the eve once you find the best location. From what I read on that antenna it does have VHF high in the specs, but less gain than the UHF. Amazon ad says it has a 30 day window to return, so by then you should have an idea if it will work for you. 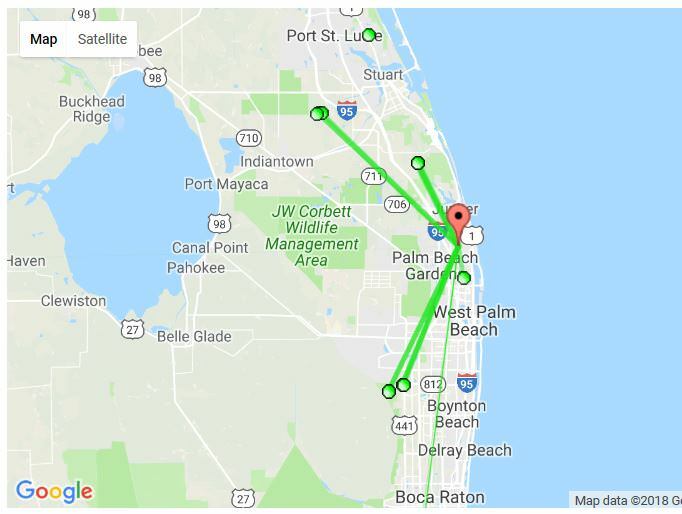 Most omni directional antennas only work when you are very close to the station antennas. Also you can not use the miles advertised as they are mostly bogus. There is no industry standard for this specification and miles are just a marketing ploy term. Don't let it bother you if there is a space between the last two characters in the short link. Most of your important channels come from the SSW, but ABC comes from the NNW; this creates a problem. 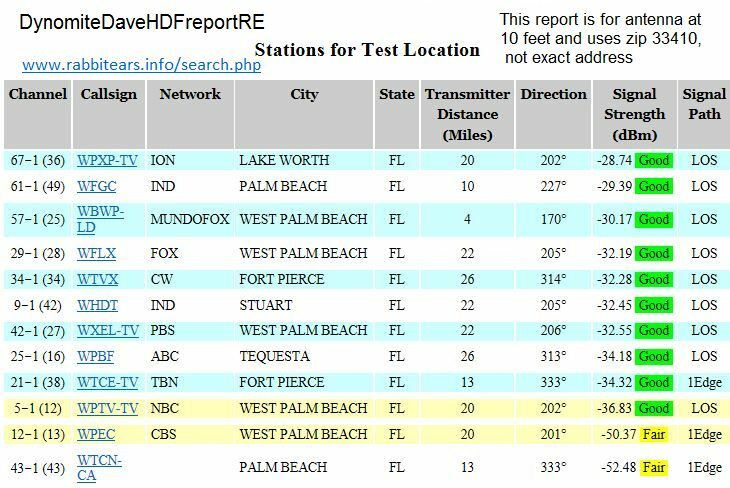 NBC and CBS are VHF-High, and are weaker than the rest of your desired channels. Your antenna does cover VHF-High, but it only has a rod dipole that doesn't have much gain. The description for your antenna does state VHF-High coverage, but the amp doesn't compensate for the low gain of the dipole for weak signals. Have you tried both positions of the gain switch? The suggestion by rbinck to find a hot spot for the signals on your property before permanent mounting is very good advice. I'm worried about the trees, they can block TV signals. You might need an antenna with more gain for VHF-High, but test with what you have now. My bad. I meant adjacent channel interference. Understood. I learned the difference between the two when I stuck my foot in my mouth and got corrected. Adjacent channel interference isn't usually a problem unless there is a great difference in signal strength between the two channels. There is often a highlighted red "a" before the callsign in a TVFool report as an adjacent channel warning. According to the ATSC guidelines, you should be able to receive the weaker channel if the signal strength of the stronger channel is less than 33 dB more than the weaker channel.